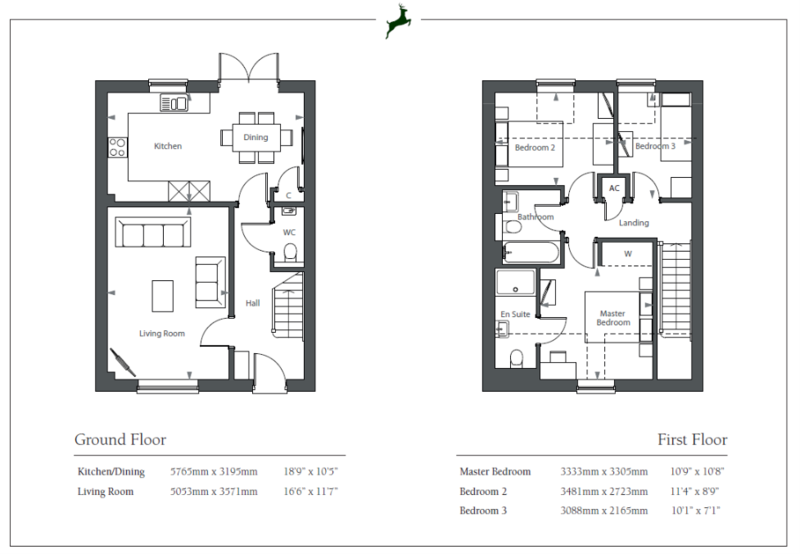 Luzborough Green is an outstanding collection of stunning two, three and four bedroom homes. Each home boasts exquisite design features and superior build quality. All of these exclusive properties enjoy a rural feel that is in keeping with the surroundings whilst being perfectly balanced with a modern layout offering a satisfying sense of space. Featuring high-specification fitted kitchens and bathrooms, the attention to detail and meticulous finish throughout sets Luzborough Green apart as a flagship collection of luxury new homes. Romsey is a charming market town surrounded by some of England's most beautiful countryside. With its wonderful selection of eateries, boutiques, bustling street markets and pubs, Romsey is a fantastic place to socialise or unwind, attracting young and old alike. For those who enjoy the outdoor lifestyle there is an array of active pursuits right on your doorstep, from beautiful long walks, horse riding and cycling in the New Forest, to watersports out in the Solent. Set on the River Test, Romsey has well established transport links, positioned within easy reach of the South's main motorways, the M27 & M3. Romsey has its own train station offering easy access to Southampton, Winchester, Portsmouth, London and beyond. In summary, Romsey is an ideal place for commuters and regular city-goers, whilst offering a more relaxed pace of life and a friendly local community. A selection of three bedroom homes remain available at this prestigious site on the outskirts of Romsey. HELP TO BUY AVAILABLE. The Malton is a fantastic 3 bedroom end of terrace home, with garage. Built to a high specification including oak doors throughout, the Malton offers the best of modern day living. This three bedroom mid-terrace home offers modern day living along with high quality design and specification, the property comes with two dedicated parking places. Move in spring 2019, HELP TO BUY AVAILABLE. Three bedroom mid-terrace. Quartz worktops plus fully integrated kitchen. Neff kitchen appliances. Fully tiled bathroom. Superb end of terrace 3 bedroom family home, with spacious living accommodation built to a high specification.